Bitcoin has become the hot topic of conversation between business leaders and technology enthusiasts. It’s rise to prominence has ignited the public interest, with promises of revolutionising the world works, as well as stories of people earning millions in the past few months. This article will give a level-headed overview of how Bitcoin (and other digital currencies) work, their applications, as well as how to think about “getting into” Bitcoin. In the previous article we explained that blockchain is essentially a massive spreadsheet that records every transaction that takes place in an ecosystem. This makes it much more efficient to keep track of who has done what, but also the technological advances in record-keeping necessitates the need for a central authority to have overall control. When we talk about digital currencies, such as Bitcoin, they are an application of blockchain technology, but for financial transactions. As with most areas that are digitised, there are scale, efficiency and transparency benefits that come with taking “offline” procedures “online”. When it comes to bookkeeping for example, the revolution of online software packages (such as Xero) meant information previously transcribed by pen and paper could be instantly calculated, as well as facilitating a whole host of benefits. On the back of these benefits, there are a number of ways in which they can be put to use. The utopian dream for many Bitcoin enthusiasts is that it will completely replace paper notes and become the de facto world currency that can be used regardless of borders. This is more a political consideration than technological and will require a broad society adoption to become useful. In the interim, there are specific use cases where it already reaping benefits. The main is financial remittance i.e. cross-country payments. In simple terms, if you’re looking to move money from Canada to Cairo it’s difficult to find people who have Canadian Dollars they’re willing to give you in exchange for some Egyptian Pounds. To overcome this, you do an “in the middle” trade. Historically this is done with the US Dollar, as “everyone” accepts it: a Canadian will be happy getting USD and so would an Egyptian, because they’re confident others in the future would trade it with them. i.e. However this still involves high transaction costs of buying and selling the currency, namely because it typically involves banks, but also there are restrictions on where USD can be traded etc. Bitcoin uses its digital characteristics to make this cheaper and more ubiquitous and so is used by broker companies looking to get an edge. For more information, look at companies such as Abra, and also this interview with the founder of BitPesa. What does it “look” like? It’s essentially like any other online payment. What’s different is the behind the scenes transfer of value from one party to another. Whereas paying for something with a credit card deducts your bank account and credits the merchants, a similar process happens with digital currencies, however instead of GBP it’ll be Bitcoin. This is where things get philosophical. The simple answer is that Bitcoin is worth whatever people are willing to pay for it. Many have cried “but it’s just a made up concept!” to which the correct response is “so are all forms of money”. That £10 note of yours has very little intrinsic value. The reason it is valuable is that you believe that if you give it to someone else, they’ll give you something you want in return. To an alien, the idea of exchanging pieces of paper for large and useful items would be crazy. The reason the shopkeeper would accept it is because she believes she can go to the bank and store it as a form of wealth: in years to come she can take it out again and use it to buy things for her retirement. Similarly, the notion that you would accept a “digital currency” then makes sense if you believe that in the future, others will trade it with you for useful items you need to live by. The standard definition of an economic bubble is where uninitiated participants enter with the sole belief that the price will rise. Reading the headlines (and no doubt anecdotally yourself) you hear of people buying Bitcoin “because everyone else is” and without a true appreciation of what they’re getting into. That needn’t necessarily be a bad thing, nor that it won’t be the right decision to make. There was a dot com bubble and the internet still turned out to be a pretty significant thing. Should I be buying Bitcoin? It depends on your risk appetite. The primary functions of money are as a store of wealth and as a medium of exchange. On the first, Bitcoin has had very erratic price movements which means it’s likely not a reliable store of wealth. This, however, has been the main driver of its increase in demand – people speculating that by buying low today, it will be worth a lot more in the future. On the second, Bitcoin is still in the very early stages of being a medium of exchange. Despite some flashy headlines, very few institutions actually use Bitcoin as a means of transacting. As such, it is difficult to operate as an effective currency, namely because very few shopkeepers will accept it. For this reason, its characteristics are much more in line with that of a commodity. Namely that you buy it with the hope that someone will pay a higher price for it in the future. Bitcoin is the flagship, but others are adopting this technology to create their own ecosystems. The second most popular is called Ethereum, and whilst we won’t go into the details, they have differences in the application of the underlying concept of digital currencies. It should be noted that *anyone* can start a digital currency. Kodak, for example, announced they were issuing a digital currency and their stock began to soar. Commentators have varying opinions on how the industry will play out, i.e. one digital currency to rule them all, or multiple digital currencies co-existing. Time will tell on this. 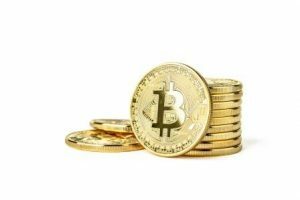 To learn more on Bitcoin, read this excellent article which should cover everything you need to know. For a detailed narrative, look to this history of Bitcoin. An abridged version is that Bitcoin was created in 2008 and first started becoming part of the public consciousness around 2010. The creator remains anonymous, and goes by the name Satoshi Nakamoto. In 2010 a pizza was famously delivered for 10,000 Bitcoin (back then worth $40, at its peak worth $195,000,000). This is unknown, but one thing for sure is that its made an impression on the global consciousness. There are many analogies to draw with the early days of the internet, and so any thoughts on serious investment should likely be done in a diversified manner: it’s very plausible you could “back the wrong horse”. One thing for sure is that technological advancements have brought it to a place where we’ll unlikely regress to a less sophisticated system. All step-change innovations face resistance, especially from the old guard, in early days and digital currencies are certainly not without their issues. Taking a zoomed out perspective though, most commentators would be optimistic that these challenges can be overcome and that, slowly by slowly, it becomes part of the infrastructure that, like the internet, everyone uses but that very few are really involved with how it operates.